Results from the November 6 mid-term elections are almost finalized. There are still a few North Carolina House of Representatives races to be called and one Senate race. At this point, it appears the House lineup will be 65 Republicans and 55 Democrats; on the Senate side, it appears the lineup will be 29 Republicans and 21 Democrats. Because of Democrat pickups in both chambers, the Republican “super majority” will no longer be a reality. As a result, Governor Roy Cooper will have more relevance in the upcoming long session. Please note: the Senate election in New Hanover County between incumbent Senator Mike Lee and challenger Harper Peterson could restore the Republican super majority in the Senate. Peterson currently leads by about 40 votes but that number could change as final ballots are counted between now and the state certification date of November 27. Four of the six constitutional amendments passed in North Carolina. Those that passed included the income tax cap of 7%, voter identification, hunting & fishing, and victims’ rights. The two amendments that did not pass included allowing the General Assembly to fill judicial vacancies and ensuring equal numbers of Republicans and Democrats on the state board of elections/ethics. It is anticipated that the November 27 special session will focus mainly on implementing legislation for the voter identification amendment before Republicans lose their super majority on January 1. On the Federal side, the House of Representatives now has a Democrat majority, which means new committee chairs and a new Speaker of the House. Republicans grew their majority in the Senate and, pending final results in Mississippi and Florida, will have 53 Senators to the Democrats 47. With each party in control of one chamber, it may very well be that even less will happen over the next two years at a federal level. Congress is back for a "lame duck" session and must enact a final fiscal year 2019 HUD appropriations bill as soon as possible. HUD’s programs are currently funded under a Continuing Resolution through December 7. Housing providers and the residents they serve need a full-year appropriations bill to ensure uninterrupted funding for the next year. 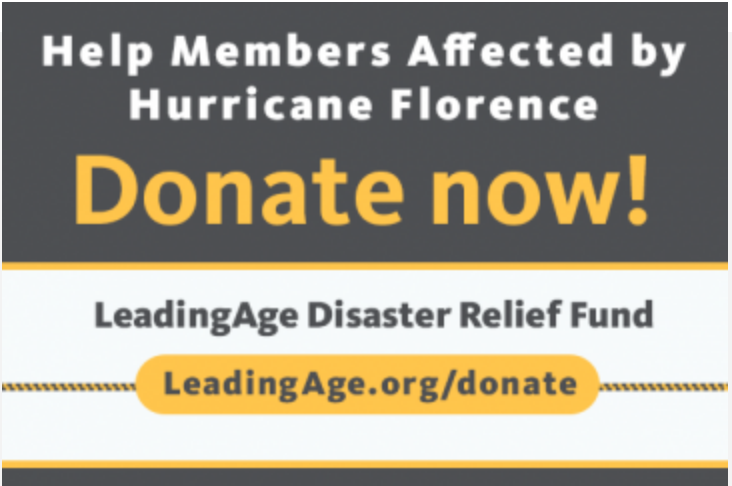 Please send a message to your lawmakers today to ensure funds for affordable housing for older adults is passed in time! Visit the action alert information page and follow the instructions to email your senator/representative. In twenty states Medicare is expanding reimbursement beyond strictly medical services to offer reimbursement for services such as in-home chores for Medicare Advantage Plan subscribers. This article from The Washington Post provides more detail. In North Carolina several providers are in conversation with Medicare Advantage Plans about offering services for reimbursement such as home-delivered meals and transportation. NC Health News provides more information in this article. CMS Skilled Nursing Facility Provider Preview Reports have been updated and are now available. Providers have until November 30, 2018 to review their performance data on quality measures based on Quarter 2 -2017 to Quarter 1 – 2018 data, prior to the January 2019 Nursing Home Compare site refresh, during which this data will be publicly displayed. Corrections to the underlying data will not be permitted during this time. However, providers can request a CMS review during the preview period if they believe their data scores displayed are inaccurate. It is important to review your organization’s reports. 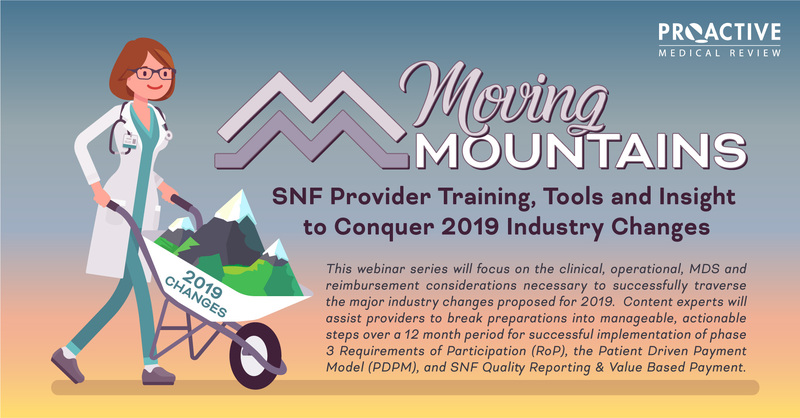 For more information, visit the CMS SNF Quality Public Reporting webpage, which also includes directions for accessing your preview report. What Do Long-Term Services and Supports Cost in 2018? Genworth, an insurance company providing long-term care insurance and planning, has released its latest report on the costs of nursing home, assisted living, and home health care. The report is based on this year's survey of more than 15,500 service providers. Data is broken down to show costs on an annual, monthly, and daily basis according to provider type and by state. This long-form article weaves the evolution of dementia care philosophy together with stories of residents living in a dementia care setting in Ohio. Very difficult questions are asked. Why would dementia caregivers knowingly speak untruths? What is the purpose of reality orientation and is it effective? How can we empathically support residents living with the panic and confusion that can accompany dementia? Read more. For ten years Forbes has been making predictions for healthcare. The 2018 predictions that were released in December 2017 were almost 98% accurate and each one of them panned out during the course of the year. Click here to read 2019's predictions. The fourth in a seven-part series on "The Aging Workforce," find out what the authors say companies are and are not doing to support employees who are caring for loved ones. And learn steps your organization can take now to better support this growing segment of the workforce. National experts on generations research offer six tips for making your organization more inclusive from the standpoint of age. Click here to check out this brief article. 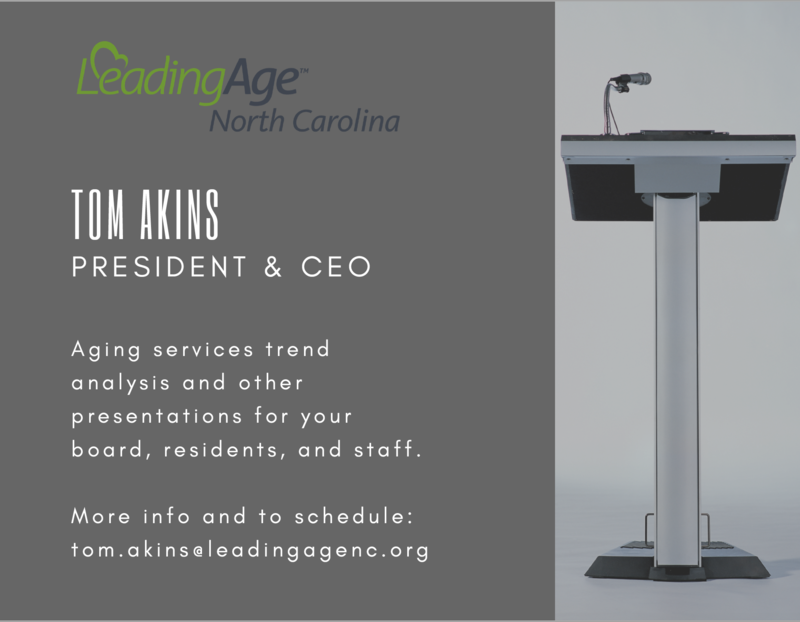 Click here for the 15th annual LeadingAge Ziegler 200 report released earlier this week. The report details the nation’s 200 largest nonprofit senior living providers as well as business trends for the industry. The report was expanded this year to include 200 providers of nonprofit multi-site organizations, single-site campuses and government-subsidized multi-site housing, up from 150 in 2017. In August, Best Buy acquired GreatCall, which provides mobile phone services for older adults. GreatCall has now teamed with Lyft to offer Greatcall Rides, which lets older adult subscribers schedule transportation without the use of a smartphone or app. 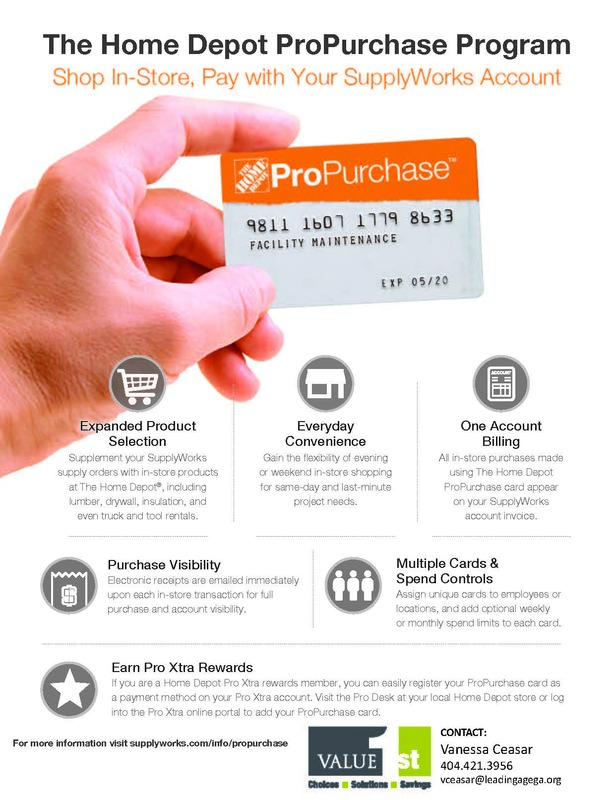 Read more about how the program works. 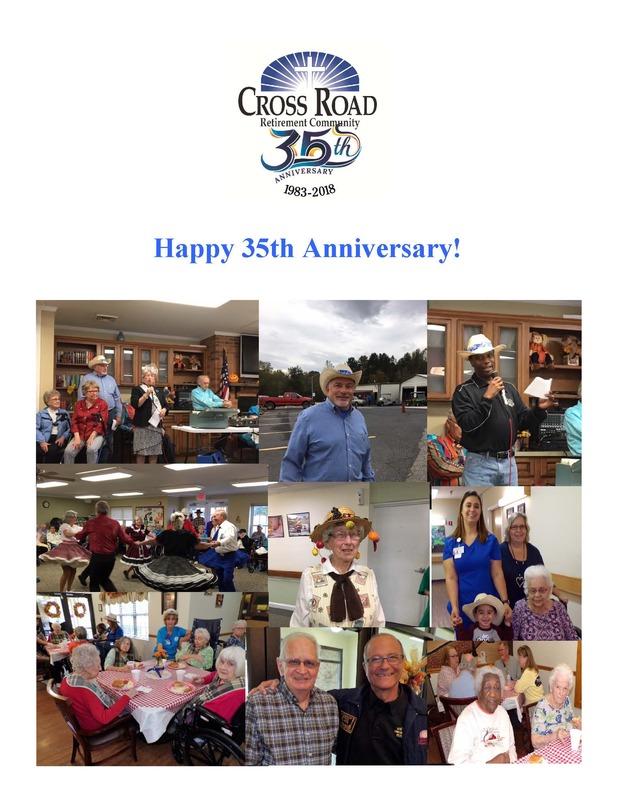 Cross Road Retirement Community in Asheboro recently celebrated its 35th anniversary. Congratulations on this exciting milestone and here's to many more!